The masterplan for Wandon Park is based on best practice in design, community integration and sustainable development. The plan below clearly demonstrates the careful way the proposals have been integrated into the existing surroundings and landscapes with significant amounts of green open space, including buffers between the development and existing communities. 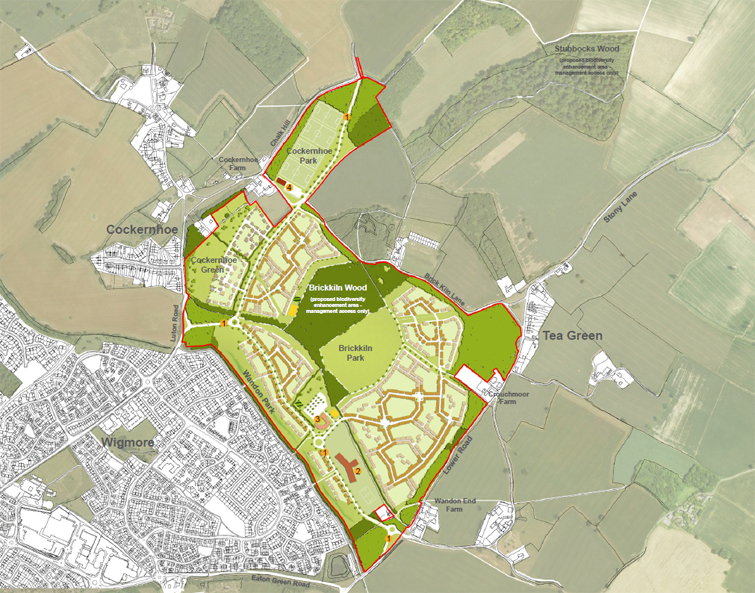 Three different options for the layout of the development site closest to Cockernhoe were shared during the public consultation and feedback on preferred options requested. Option 3 is shown in the above masterplan and all three options are below.